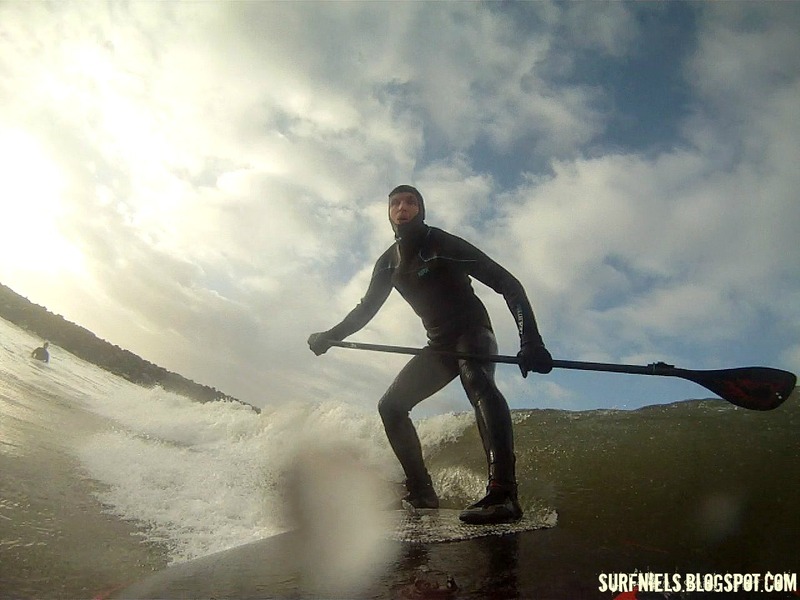 So we have had one week of relative mild tempratures and westerly winds and not to forget swell. It still gets dark around 17.00 so it is quite a challenge to get out after work. 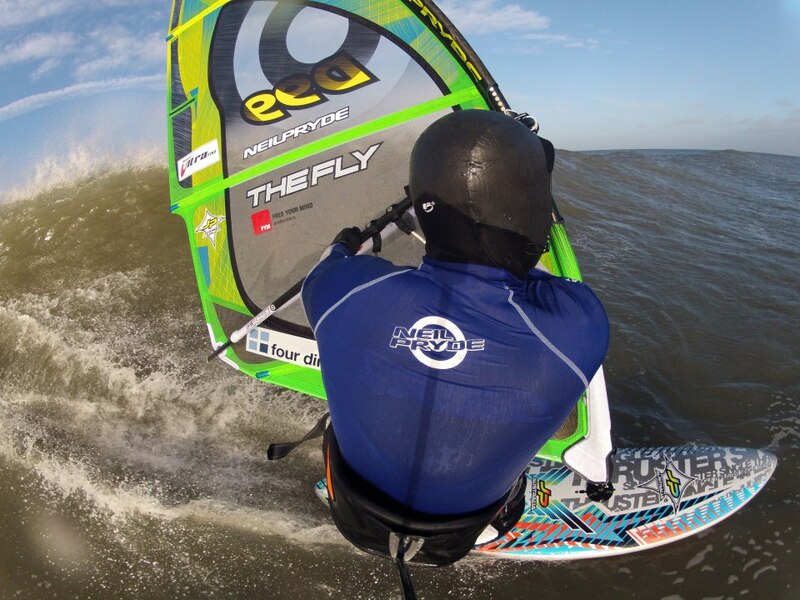 Well known waterman Lars Petersen posted a few windsurfshots on his facebook midweek and had me ictching to get in the water. It wasn't until friday I had the oppurtunity to get in the water myself. 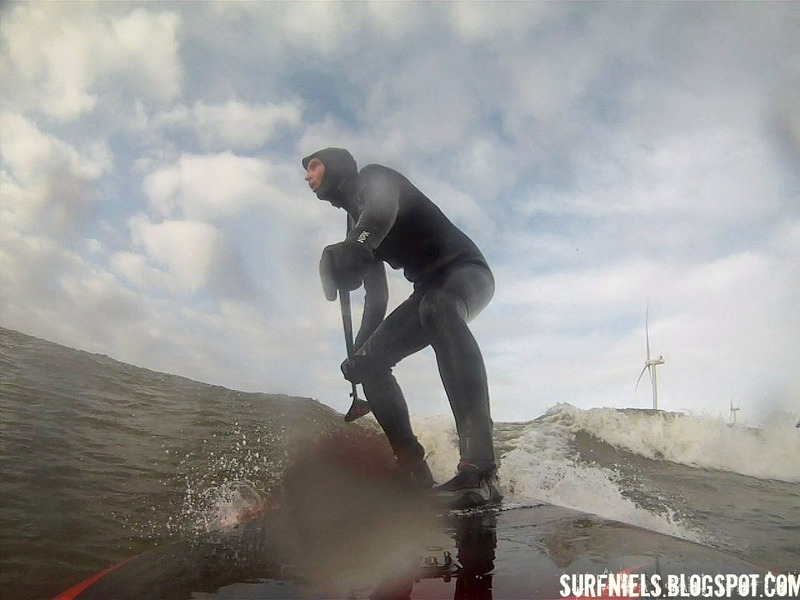 No wind but nice waves meant SUP action in Hvide Sande. The little lefthander was working really well on the inside of the new pier. 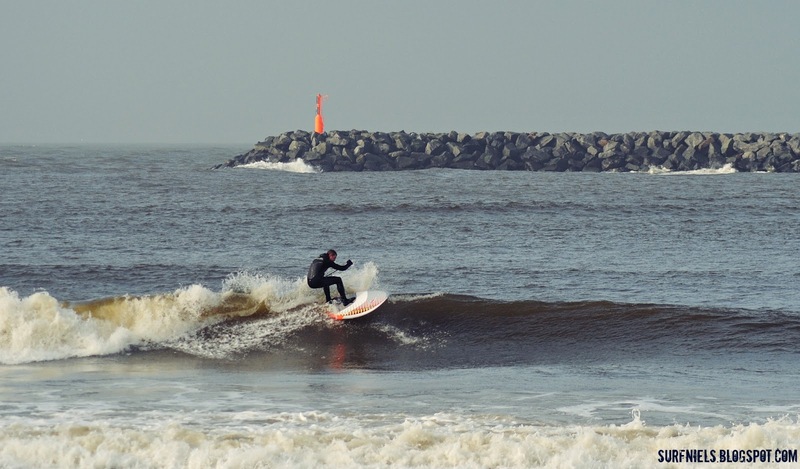 During the session I also found a small right-hand wave breaking and had it all to myself. In the end I shot a few pictures of my friend Lars..